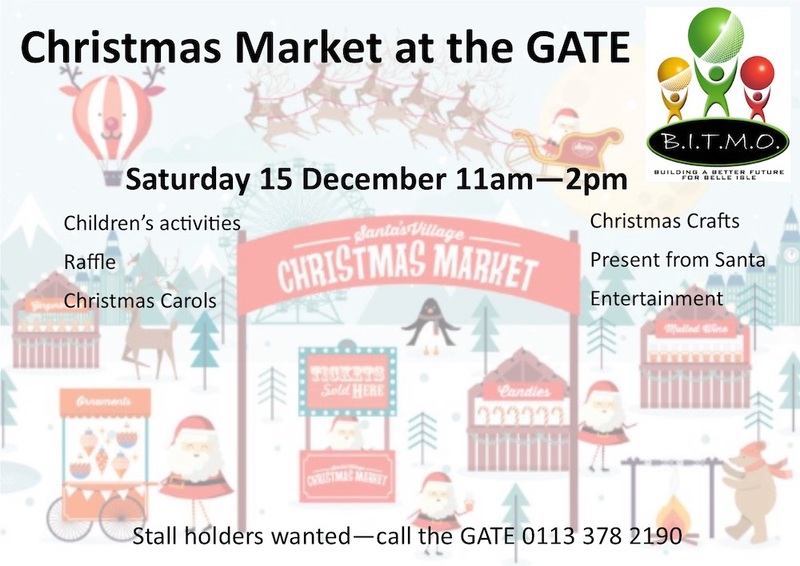 It’s nearly time for the annual Christmas Market at BITMOs GATE. On Saturday 15 December 2018 from 11am to 2pm there will be stalls, presents from Santa, Christmas crafts sessions and a tombola and raffle with all proceeds going to the Leeds South & East Foodbank. There are still a few stalls available to local residents and charities in return for a donation of a raffle prize. To find out more please ring BITMOs GATE on (0113) 378 2190.